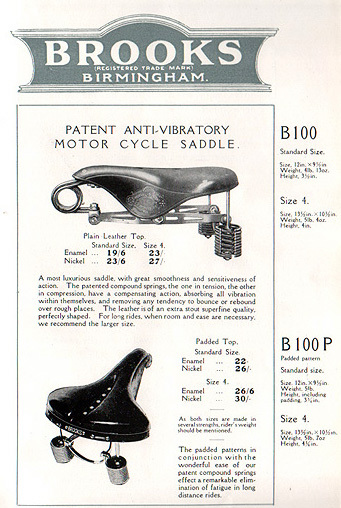 Bicycle saddles were an extension of the horse saddle industry. As you can see below, its British patent is 1894, and 1897 in the USA. 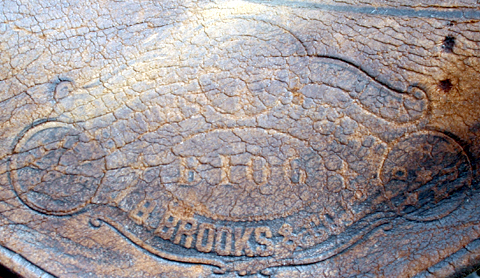 Top early British saddlemakers included J.B Brooks, Middlemore and Lampugh. You can see separate pages for their patents and examples of their saddles. After the invention of the cycle saddle itself, one the most important subsequent innovations was the saddle clamp, or boss. 1895 was an important year for bicycle design. It was the last year of the ‘upsloper’ style as, in 1896, the horizontal top tube became the industry standard. Bicycle pedals were, up to this year, of the ‘slotted crank’ variety, ie using a nut and bolt to attach the pedal to its crank. In 1895, manufacturers started to adopt the new system of screw-fit pedals, which became the inustry standard in 1896.